BTI’s goal each year is to be objective and transparent in our rankings. The All-Stars is a data-driven ranking based solely on in-depth telephone interviews with leading legal decision makers. This research is independent and unbiased—no law firm or organization other than BTI sponsors this study. No law firm or attorney influences the results, submits nominations, or provides client names to BTI. $1 billion or more in revenue. BTI Client Service All-Stars 2019 draws on data collected in BTI’s ongoing Annual Survey of General Counsel. Participants are granted confidentiality at the individual and organizational level. They receive no compensation. They do receive an exclusive benchmarking report on legal spending, outside management counsel strategies, and this report. 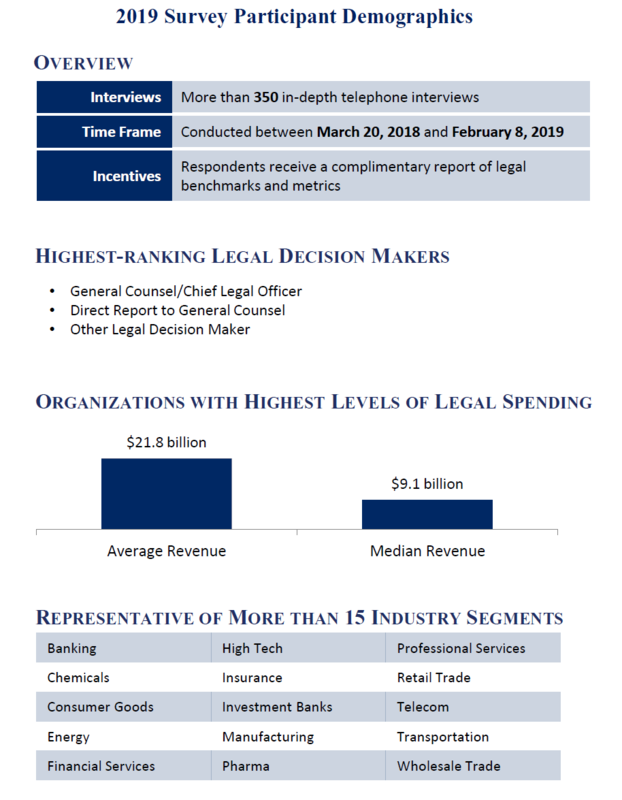 This comprehensive analysis trends data from more than 5,800 corporate counsel client interviews conducted over the span of 19 years. This year, BTI interviewed 350 corporate counsel from large and Fortune 1000 companies to probe at all aspects of client relationships. Download your complimentary copy of the BTI Client Service All-Stars 2019 now.